Membership of RMLA is open to individuals who have an interest in the law relating to resource management. RMLA is a national multi-disciplinary organisation with over 1100 members, providing information services to its members who are professionals involved in private practice, industry and government. Click here to find out why you should join today. The objective of the Association is to promote within New Zealand an understanding of resource management law and its implementation and multi-disciplinary framework; excellence in resource management policy and practice; resource management processes which are legally sound, effective and efficient and which produce high-quality environmental outcomes. The Association holds regular seminars on items of topical interest, an annual conference, and other events on a regular basis around the country. Most of these seminars and other events are organised by Regional Committees which have been established in Auckland, Northland, Waikato, Bay of Plenty, Hawke’s Bay, Taranaki, Wellington, Nelson/Marlborough, Canterbury, Otago/Southland and Queenstown/Central Otago. You are free to access and correct any information we hold about you. The RMLA holds a members’ list with contact details which is available to RMLA members and (on request) to selected other organisations which are involved in resource management issues. To view the Association’s brochure “Informing and Connecting Resource Management and Environmental Professionals”, click here. The ‘Young RMLA’ is a forum for those in the early stages of their resource management careers (up to 5 years’ experience) to meet, learn and share experiences. The Young RMLA seeks to encourage the attendance of young members, non-members, as well as new members to the RMLA. 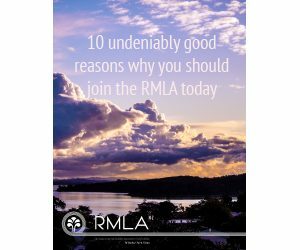 The Young RMLA aims to provide a greater incentive for young practitioners to join the RMLA, network with their peers and attend seminars and functions that might better meet their needs. Young RMLA aims to hold events each year, in addition to the RMLA events, with a particular focus on younger practitioners from a variety of resource management fields. Events are usually attended by a mix of young lawyers, planners, engineers, environmental scientists, experts and students and provide a good opportunity for learning and to meet others with a similar level of experience. If you would like to register your interest in receiving information about future Young RMLA events (whether or not you are an RMLA member) or if you are interested in being involved in the Young RMLA, then please contact Karol Helmink: karol.helmink@rmla.org.nz.